The Super Bowl garners discussion on every topic imaginable, from the color of the post-game Gatorade bath to the dancing habits of the game's quarterbacks. Still, the on-field looks worn by the participating teams manage to go overlooked far too often. Here, we rank the last 10 Super Bowls based on the uniform matchups. Last year's Super Bowl may have produced one of the all-time great endings, but it didn't feature the best combination of uniforms. The Patriots' continue to roll with the "Flying Elvis" logo and overuse of metallic instead of their superior, bright-red look from the 1980s that features the classic Patriot Pat logo. As for the Seahawks, the getups they debuted in 2012 have become a little easier on the eyes in the subsequent years, but it still feels overly busy. 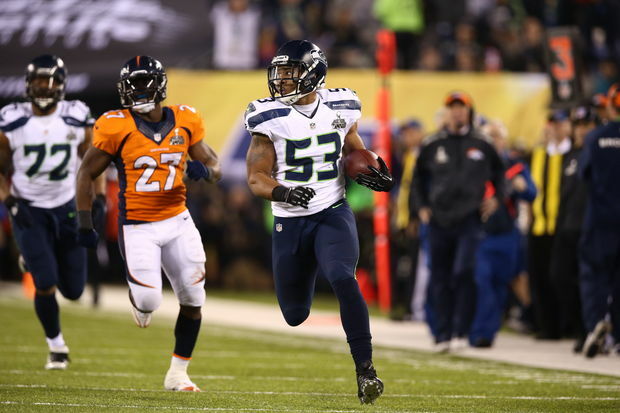 The white Seahawks uniform worn during their successful championship run work better than their home version, but this game still featured the Broncos' orange uniform. When it comes to orange, less is more. 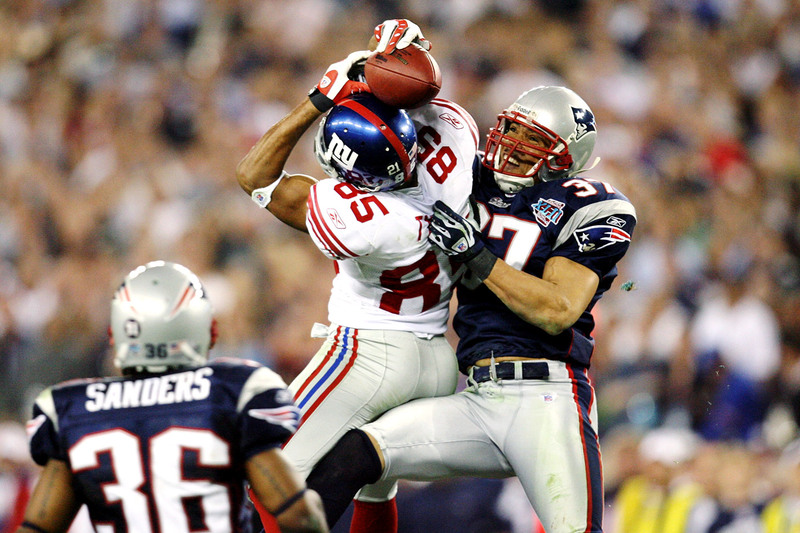 The Giants and Patriots wore the exact same uniform designs for their two Super Bowl matchups. The Giants' "road" white and silver looks clean and uncluttered, a nice diversion from the Patriots' less appealing design. While the Broncos have the "home" designation for this year's game, they have elected to wear their all-white uniforms over their orange or navy blue options. 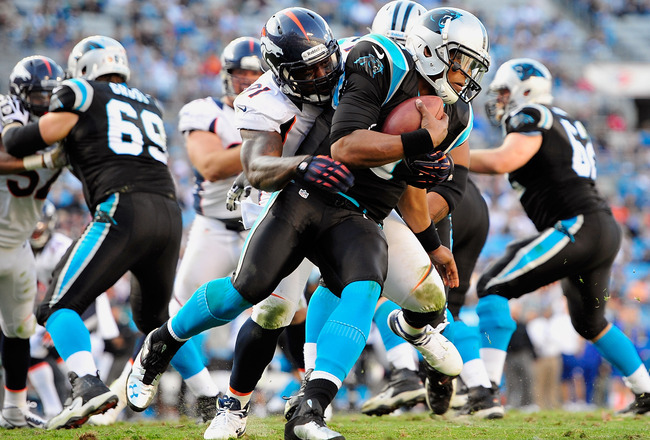 As for the Panthers, they plan to don the black-and-silver getups they normally wear at home. The last 10 Super Bowls have produced better matchups, but this one rates significantly better than those preceding it on this list. 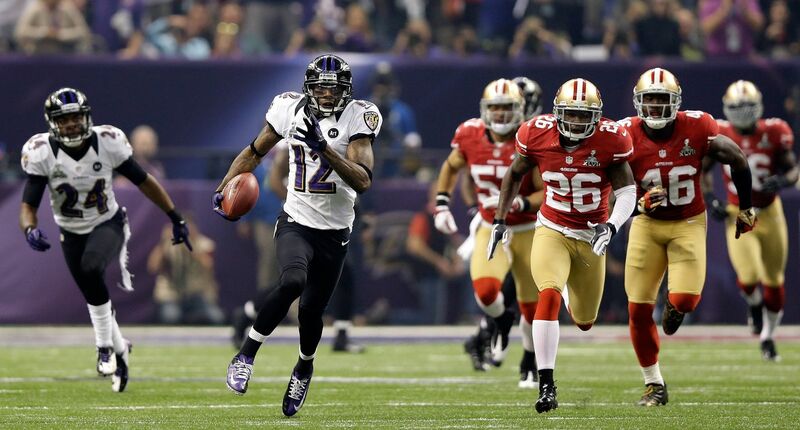 Though better known for their purple jerseys, the Ravens sported their "road" whites for this game. Outside of the "toilet seat" collar that they would abandon before the following season, the uniform receives a passing grade. The 49ers' getups, however, steal the show. The red-and-metallic-gold design remains one of football's best, and it looked wonderful on the game's biggest stage. Only a select few uniforms in North American sports can compete with the Steelers' black and gold. Their presence alone pushes this matchup into the Top 5. The Cardinals' getups don't posses as much appeal, but their color scheme and white helmets hold up. 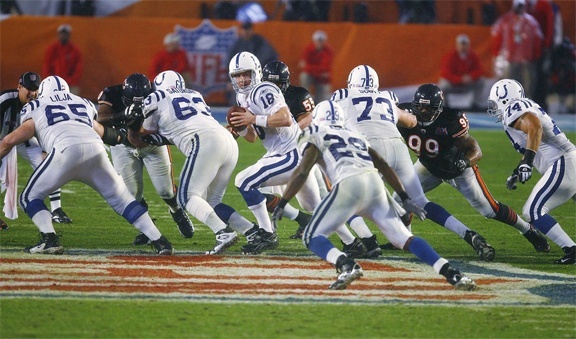 … the all-white uniforms that Indy wore during Super Bowl XLI. Better still, the Bears' classic navy jerseys make their Super Bowl debut (the team wore their "road" whites during their first appearance in the game 21 years earlier). 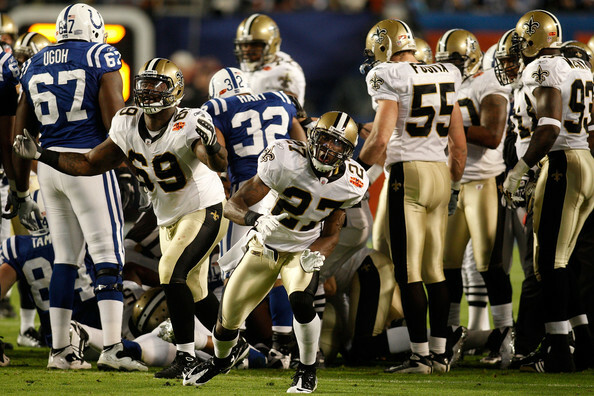 While the last 10 years have featured some great uniform matchups, none can hold a candle to Super Bowl XLV's combo. The Packers' green-and-gold look may well represent the best in football, and with the Steelers offering plenty of competition. Not only does Pittsburgh vs. Green Bay rank No. 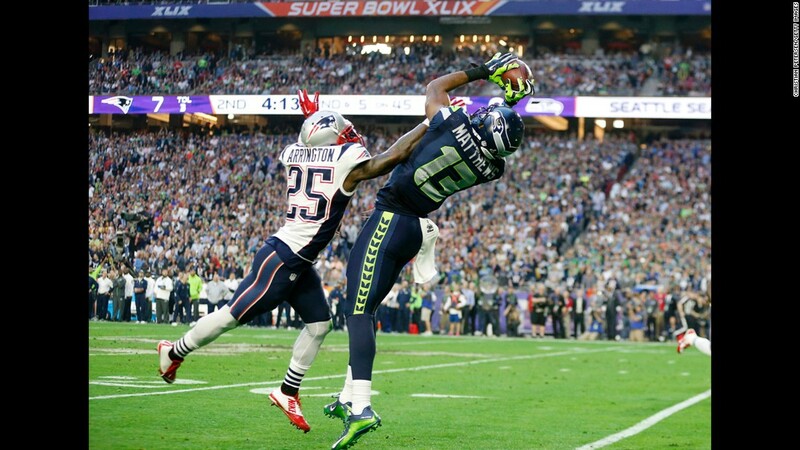 1 on our list, it arguably places first in all of Super Bowl history.